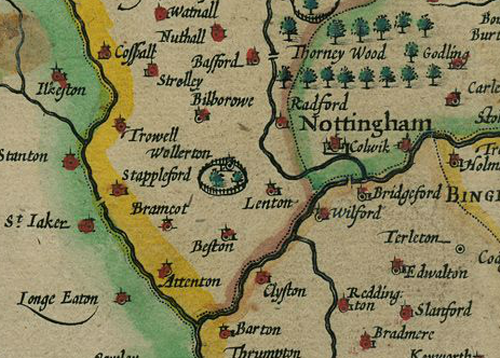 Many historical maps become objects of desire simply due to their antiquity. Rare and collectible maps are, however, not necessarily beautiful in design or aesthetic terms. 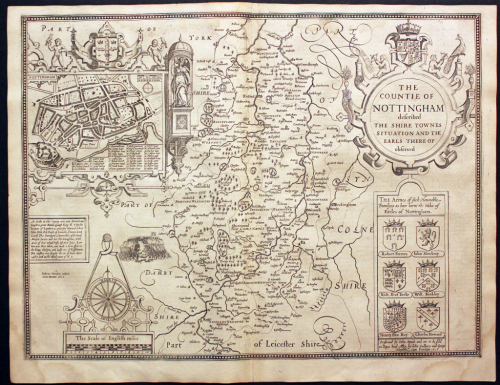 The maps produced by John Speed in the early 1600s for his Theatre of the Empire of Great Britaine are exceptions and are both highly collectible and remarkable objects. The atlas was the first to collate detailed maps of English counties, printed from copper plates which had been engraved in reverse by Jodocus Hondius in Amsterdam. Each atlas was either offered uncoloured or coloured by hand and though only a few colours were used it is this colouring that gives them such a pleasing appearance. The borders and main elemants of the maps framework such as the cartouche, coats of arms and vignettes are all coloured. the maps, actually, have a very limited amount of colour applied, used principally as a mechanism to highlight pictorial symbols (e.g. trees). The main use on the map is as a way of illustrating county and district boundaries using different adjacent coloured bands, a technique which went on to be used extensively in atlas design (for instance by National Geographic). The colours are bright and bold and add to a map already expertly detailed and engraved. Speeds maps were at the time constructed from the most up-to-date surveys (from Saxton for instance) so as scientifically accurate as they could have been. But they weren’t just derivative. 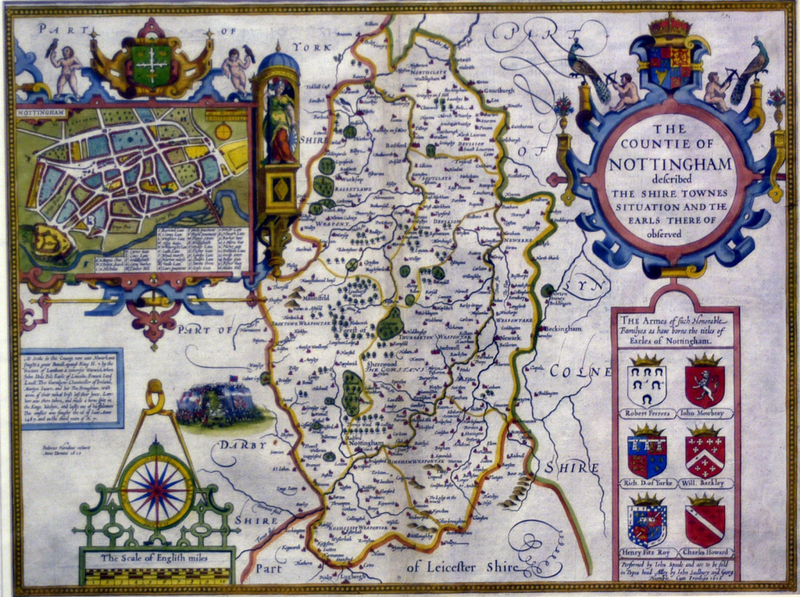 Speed added his own innovations such as detailed town plans on many of the maps, panoramic scenes of topographic, historical or archaeological importance to the county and also coats of arms of local Earls and Dukes. These small yet highly decorative and attractive maps are collectible now, but were also a classic of information of the time. 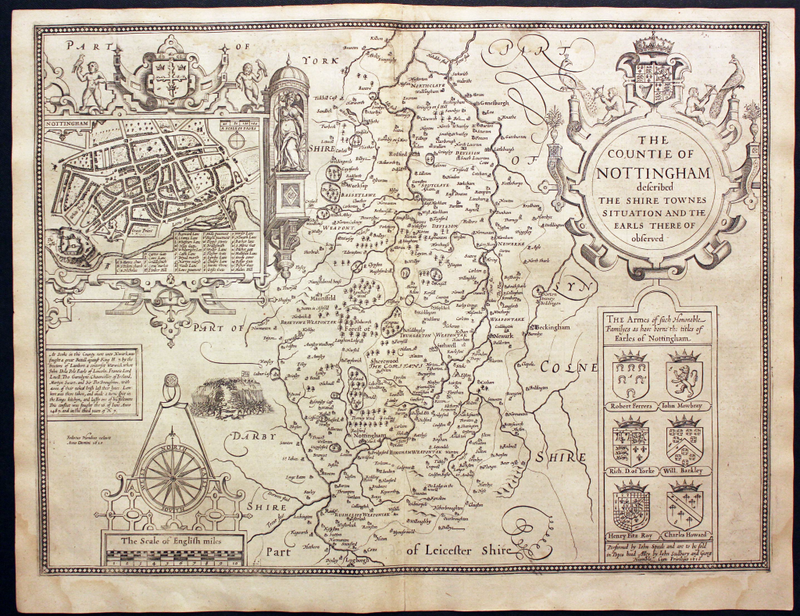 A complete set of maps can be viewed online via Cambridge University Library here. This entry was posted in MapCarte and tagged copper plate, hand coloured, historic, MapCarte by @kennethfield. Bookmark the permalink.